Tickets now on sale for Wolsey Theatre, Ipswich, 28 September! The year is 1955. It is the golden age of sci-fi, and the 60th anniversary of The Time Machine. 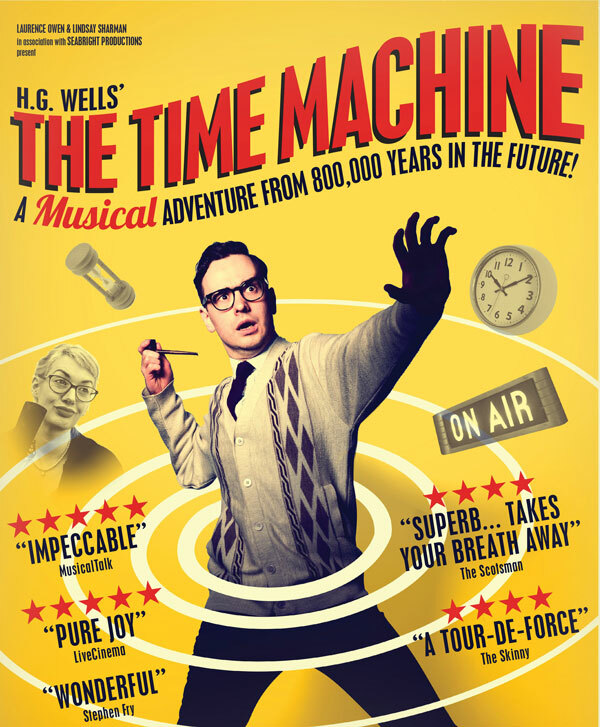 A mysterious man arrives at Radio Woking to present a thrilling musical adaptation of HG Wells’ classic story. Prepare yourself for show-stopping songs! Live sound effects! And a rip-roaring original score!